Last week in Moscow an awards ceremony took place for one of the most influential and established prizes in the community: the Financial Elite of Russia, 2016. The laureates of this awards ceremony were the largest banking and financial institutes in the country, along with leading investment companies and influential business media outlets. It was very pleasant for me to hear that Alpari has now been declared as the undisputed leader over the course of eight years in the main nomination for its industry, Grand-prix: Forex broker of the year. 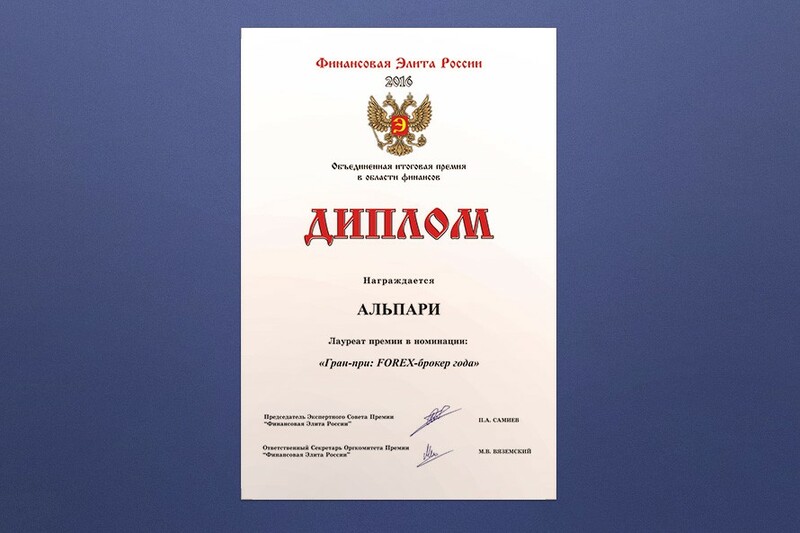 Separately, Alpari’s input into the development of investment services in Russia was recognised with an award. It is plain for all to see that these awards speak for the brand’s staunch position in Russia and for its solid reputation. Our superiority in the industry was affirmed from an independent research by Interfax which acknowledged Alpari as the market leading firm in Russia for five years running. In my view, achieving a result like this was made possible by the team’s professionalism and the openness of the company, in addition to the high international standards of the company’s work. It’s also noteworthy that my charitable fund in Tatarstan was also deemed worthy of an award. This is now the second time that the Alpari Charitable Fund has received such recognition on a federal level. The expert council of the Financial Elite of Russia gave an extremely high assessment on what the fund’s achievements in its decade-long history. The council praised our contribution to social initiatives within the region.